For universities, vocational schools, training centers, learning centers and training workshops. The vacuum training set is an aid for training courses on the subject of vacuum technology in the field of automation. 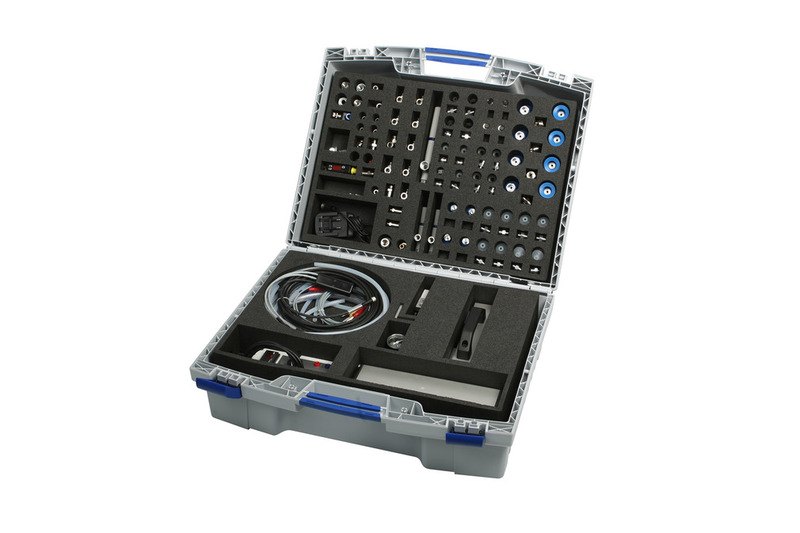 Designed to accompany lessons, it consists of a portable set of suitcases with various vacuum components for assembling sample applications. With the aid of a detailed exercise book, students are introduced to vacuum technology step by step and can work independently on self-contained lessons that build on each other. The training set also allows for practical learning - from the simple assembly of a vacuum system to a complex system solution that requires students to optimize the components selected.